Whether it’s your first time in the Lone Star State’s biggest city or you’re a seasoned regular, Houston has something for everyone — drinking and eating your way through bars and barbecues, learning something new at world-renowned museums, relaxing days at the beach or enjoying the beautiful waterways, gardens and parks. The near infinite options can make it difficult to decide where and how you spend your time in Texas’ H-Town, but regardless of why you’re here — driving through, a quick weekend getaway with friends or a family vacation — there is something for you. Houston is often referred to as Space City, and NASA’s Johnson Space Center is its namesake. Head to Space Center Houston — attached to the Johnson Space Center and NASA’s official visitor center — to learn about outer space and America’s role in space discovery with over 400 exhibits and the largest collection of lunar (moon) rocks on public display in the world. If you are lucky, you might have the opportunity to talk to an astronaut or an astronomer. And don’t forget to touch a rock from mars while you’re there. This is the perfect all-ages activity and can provide different learning experiences depending on your age and interests. It t is recommended that you take a tour of the center; the tram tours are especially popular and last roughly two hours. Head to Kemah Boardwalk at Galveston Bay, roughly 30 minutes from downtown Houston, to enjoy midway games, amusement rides and an interactive stingray reef. Kemah Boardwalk is often considered one of the United State’s best boardwalks. The most popular attractions at the 60 acre theme park are the wooden roller coaster, the 65-foot ferris wheel, the zipline ride and the 140-foot Drop Zone. And like most of America’s classic boardwalks, you can find funnel cakes, hot dogs (with a Tex Mex twist) and cotton candy galore. While you’re there, you can also relax at the beach, enjoy eating or having a drink at one of the restaurants and bars or listen to live music. Depending on your interests, this is the perfect activity all-ages activity. There is no charge to walk around the boardwalk and tickets to the attractions can be purchased individually or with an all-day pass. The Houston Museum District is home to 19 world-class museums and is a historic center for arts and education in downtown Houston. With so many museums, it can be difficult to choose which ones to visit and you can’t really go wrong. The Houston Museum of Natural Science is the perfect museum to visit for a comprehensive learning experience. It is home to the Burke Baker Planetarium, Cockrell Butterfly Center and dozens astronomy, space, science, Native American, paleontology, energy, chemistry, gems and minerals, seashells and local wildlife exhibits. You could easily spend all day visiting the different exhibits, though most people spend only a few hours there. The Museum of Fine Arts, Houston (The MFAH) is one of the largest art museums in the United States. The MFAH has a collection of thousands of years worth of art from all over the world. It has numerous exhibits to wander through, two cafés to grab breakfast or lunch at, a repertory cinema and two libraries that house an encyclopedic collection of more than 65,000 artworks. If you want to see international, national and regional art from the last 40 years, then head to The Contemporary Arts Museum Houston. The museum hosts various exhibitions, lectures, original publications and educational programs and events. The museum’s architecture, a stainless steel building at the center of the Houston Museum District, is worth a visit in its own right. If you want to see African lions, Asian elephants and California sea lions from the comfort of Houston, then head to the Houston Zoo. The zoo has over 6,000 animals on 55 acres of land and is the perfect activity for families. Houston has countless beaches within a 30-60 minute drive from the downtown area, and each beach offers a different experience. Stewart Beach is roughly one hour from downtown Houston and is regularly ranked as one of the best beaches for families. Beachgoers have access to a snack bar and souvenir shop, restrooms and showers and rental umbrellas and chairs. Though Stewart Beach is a quiet getaway, it is only a few minutes drive from Galveston’s Seawall and entertainment district. Galveston Island State Park is the perfect for both families and outdoor enthusiasts alike. Beachgoers can enjoy a picnic, biking, fishing, camping, kayaking, hiking and bird watching. East Beach is the perfect place to party because it is the only Galveston beach where alcohol is permitted. You’ll often find live music, festivals and volleyball tournaments taking place on the beach. Beachgoers can buy food from food trucks and rent umbrellas, chairs, jet skis and parasails. If there is one thing Texas is known for, it is its seemingly endless barbecues. Houston has established itself as a premier destination for its mouthwatering ribs and heaping plates of brisket. CorkScrew BBQ is regularly considered some of the best barbecue in Houston. CorkScrew recently moved to Old Town Spring in the north part of the city and has gained a near cult-like following because the meats are smoked to perfection and the ambiance is unbeatable. Gatlin’s BBQ provides some variety to the Houston barbecue scene by serving St. Louis-style ribs along with the usual fare. A second location is now open, which means the lines are faster and tables are (sometimes) available. Pappa Charlie’s Barbeque is a beef-lover’s dream come true. It serves the staples, like smoked ribs and brisket, as well as meatloaf and tri-tip steaks. But don’t let the beef-centric menu confuse you, its turkey and mac n’ cheese are just as good. Rodeos are an integral part of Western history and culture, especially in Texas, where cowboys are still a regular sight. The Houston Livestock Show and Rodeo (HLSR) isn’t just the biggest rodeos of the year, it’s the biggest livestock show and rodeo in the world. It has over 20 performances spread out on weekdays and weekends starting at the end of February and going until mid-March. Rodeos aren’t just for watching horses race around barrels and people getting flung off of bucking bulls, though it’s worth attending these events for at least a little bit. HLSR has live concerts every day that there is a performance. Country music classics, like Johnny Cash and Kenny Chesney, have played at the rodeo before. Pop music artists, like Justin Bieber and Beyonce, have made appearances, as well. If you’re into cowboy boots, hats and leather, HLSR is the perfect place to shop til you drop. Don’t miss the opportunity to eat some staple rodeo foods, like deep-fried twinkies and the infamous barbecue, while you’re there. You don’t just have to watch professionals get thrown off a bull, test your skills and take a chance on the mechanical bull. Or if you rather laugh and enjoy a beer, you can watch everyone else get knocked around. End the night by practicing your two-step or sipping on a glass of wine. When someone says Mardi Gras, your mind probably jumps to the crazy and packed streets of New Orleans. However, Texas has its own noteworthy Mardi Gras in Galveston, which is an island 50 miles southeast of Houston. For over 100 years, Mardi Gras! Galveston has been held every February to celebrate one last day of fun before the Christian observance of Lent begins. However, the celebration has moved away from religious meaning and is now an excuse to party. The over 250,000 revelers every year attend parades and concerts, run in a 5K and enjoy cold drinks on one of the infamous and coveted balconies. Get a party bus in Houston to prepare you for the festivities ahead because the drive from the downtown area is roughly an hour, and once you arrive in Galveston, you’ll be thankful that you’re already prepared to party. Tickets can be purchased per day or weekend, as well as for the whole celebration. WorldFest: Houston International Film Festival was the third international film festival in the United States and has a history of recognizing and honoring film and video. The festival is cited for discovering directors Steven Spielberg and George Lucas, who both won the WorldFest Remi Award at the start of their careers. Held every April, WorldFest is divided into 10 smaller festivals that cover the different facets of filmmaking — including short subjects, TV Commercials and music videos. Tickets for the almost two week long festival can be purchased by category or per film. Every August, the Houston International Jazz Festival honors jazz music, artists, education and history. In the past, musicians Mindi Abair and Ashleigh Smith performed at the festival. Musicians from all over the world come together to celebrate jazz legends both past and present with live concerts over dinner or drinks. All proceeds from the festival go toward the nonprofit organization, Jazz Education, Inc. The saying goes that “everything is bigger in Texas,” and that includes the distances between attractions in Houston — the largest metropolitan area in the state. With its countless barbecues and bars, museums and outdoor activities, choosing the right transportation for your trip is essential. It can take hours to drive from one destination to another and parking can be limited, especially during the holidays or when events are happening. Using a Houston limo service to take you to your next activity is the easiest and most comfortable option. 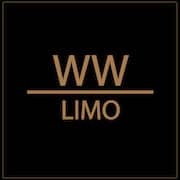 WWLIMO is the lead Houston limo company. Whether you need airport transportation from George Bush Intercontinental Airport, a Houston party bus to drive you from one bar to the next or a town car service to drive you to every point of interest, see everything the right way — from the seats of WWLIMO. WWLIMO specializes in charter bus Houston, town car service Houston, limousine Houston, limo service Houston and party bus Houston.